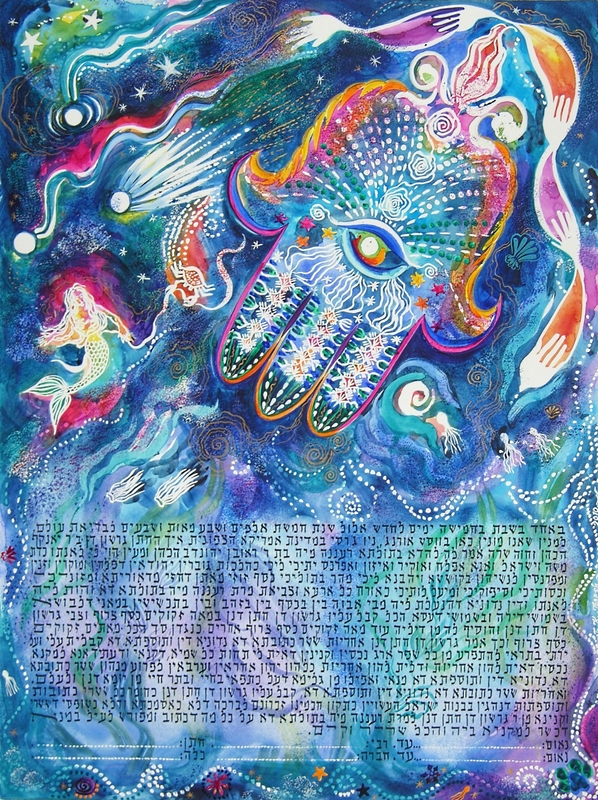 Premium Custom Ketubahs are hand-lettered and hand painted: egg tempera and india ink on archival (100% cotton) paper. 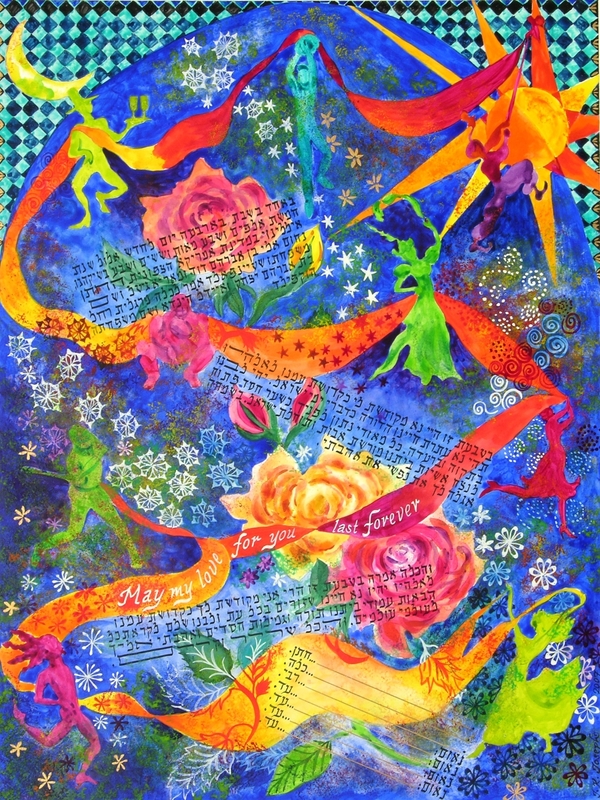 Click here for pricing, ordering and contact info. 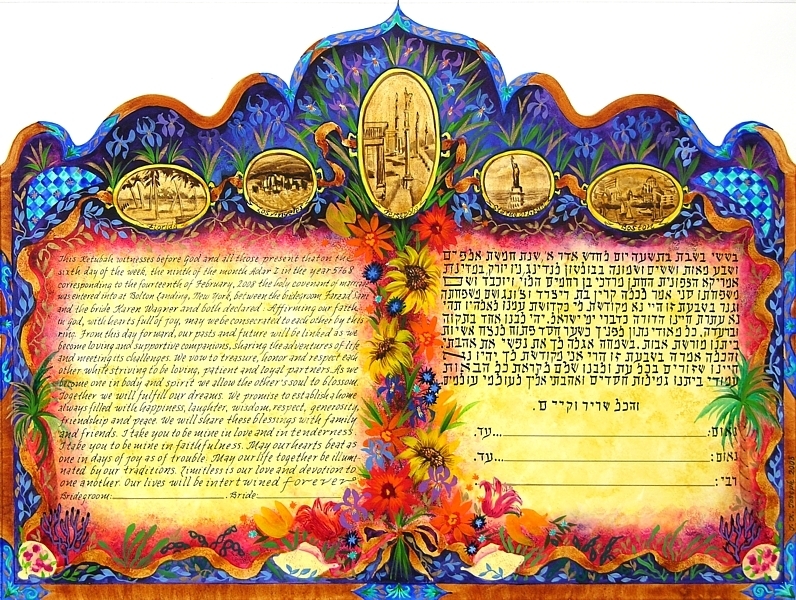 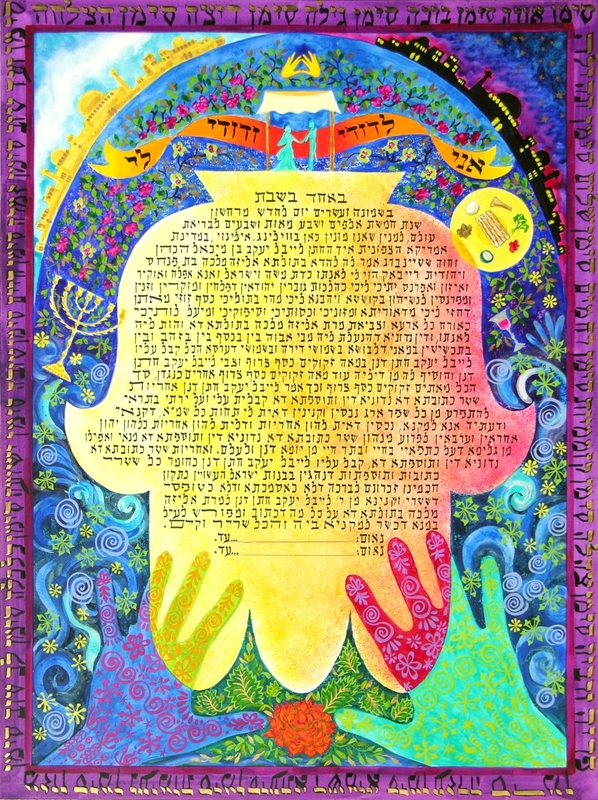 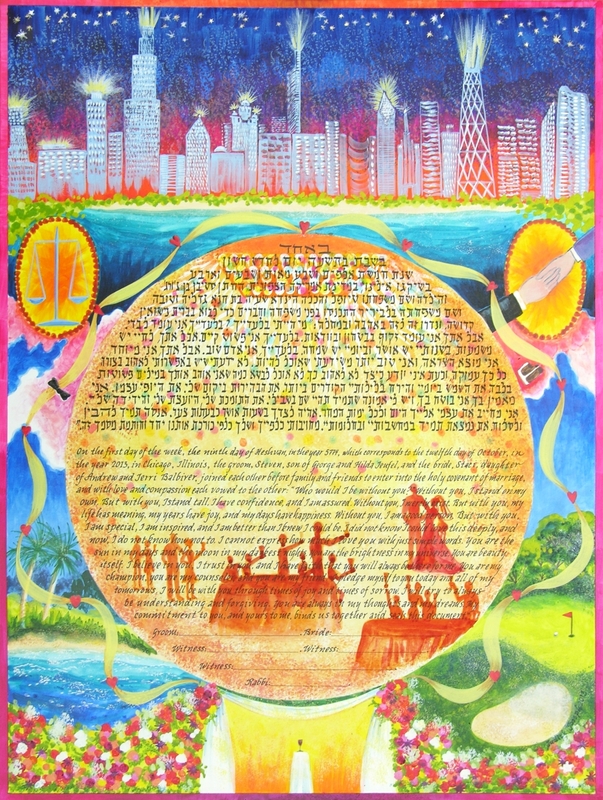 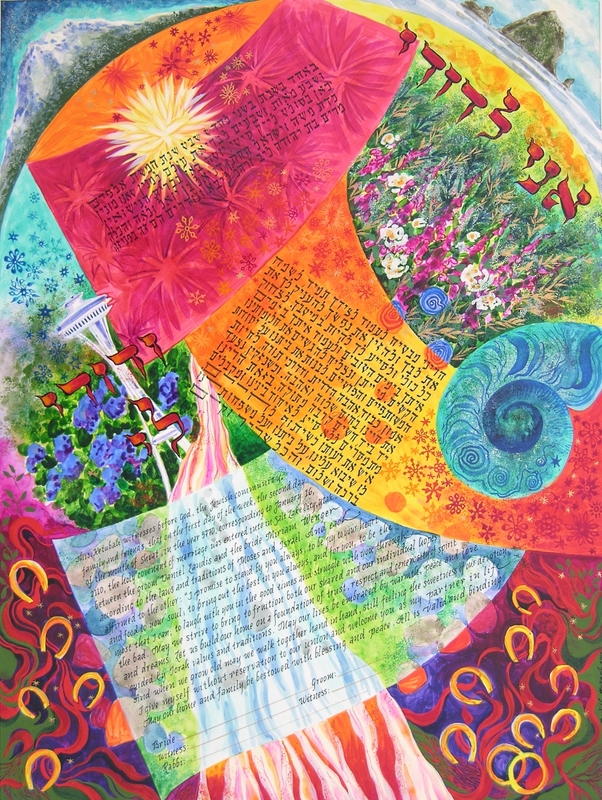 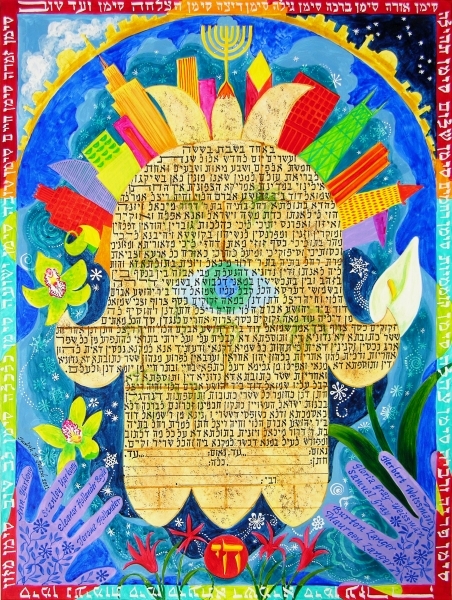 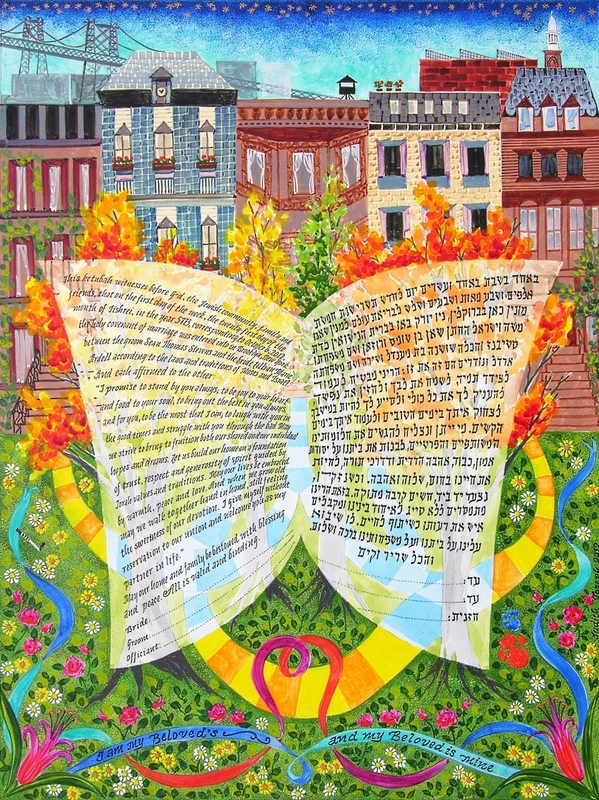 Barcelona Ketubah, Chicago, Illinois, 2016. 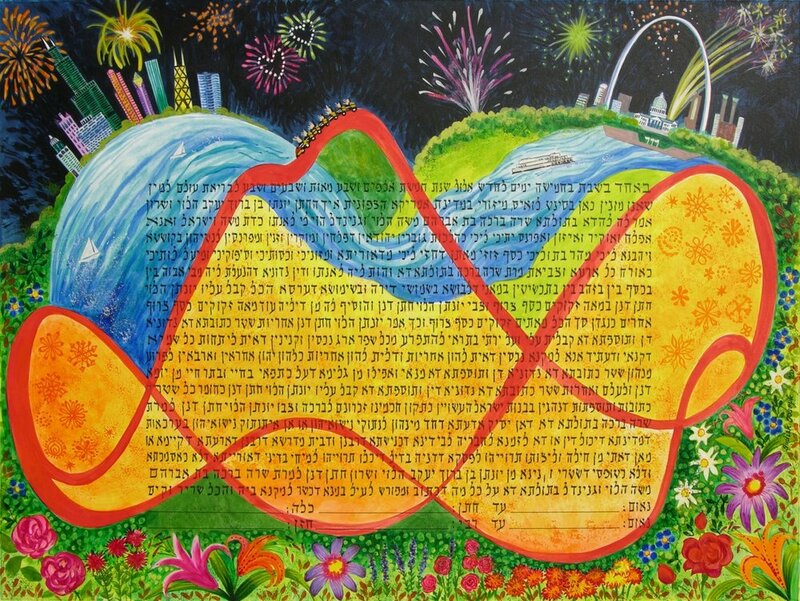 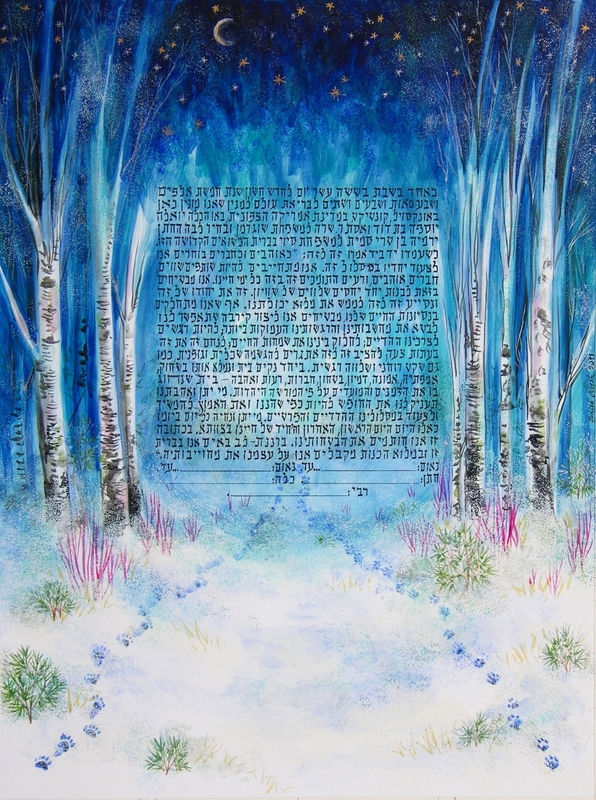 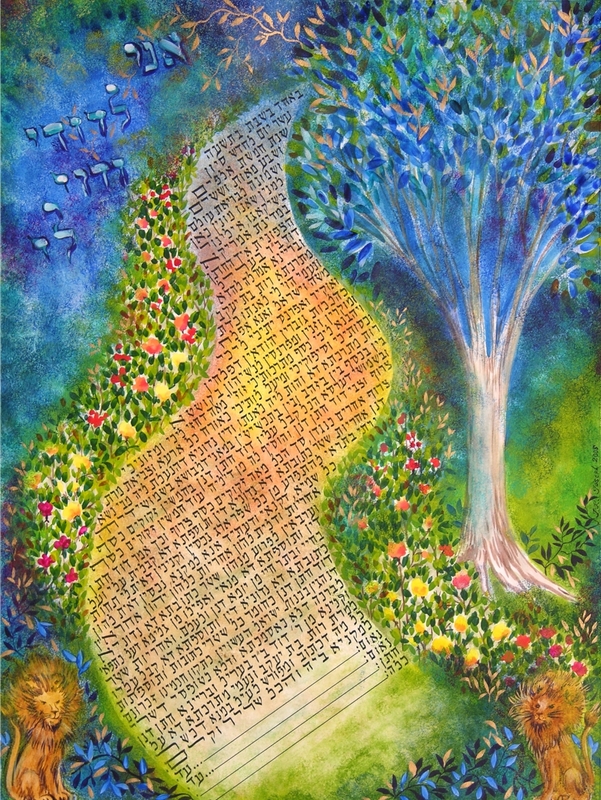 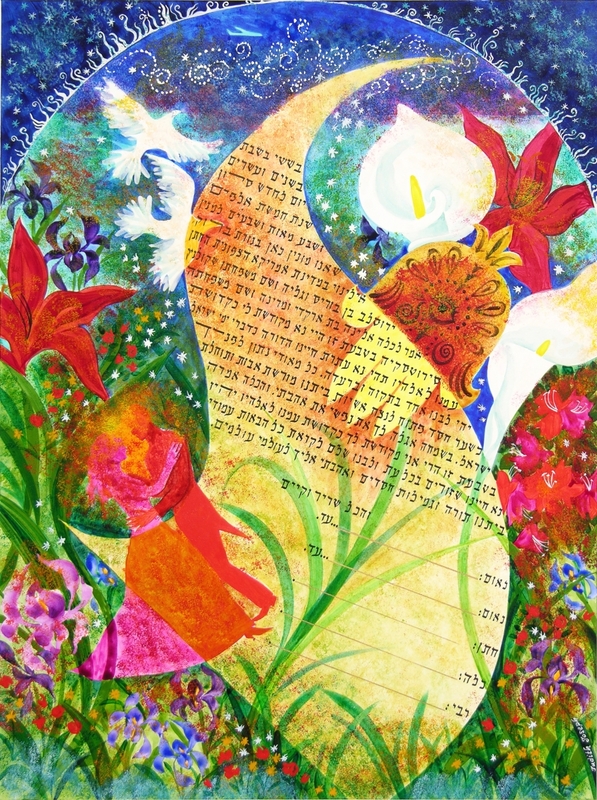 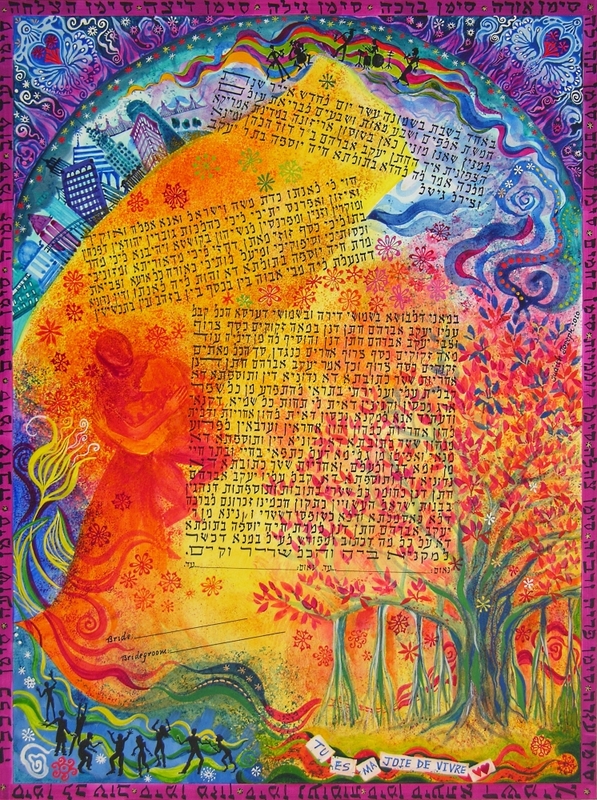 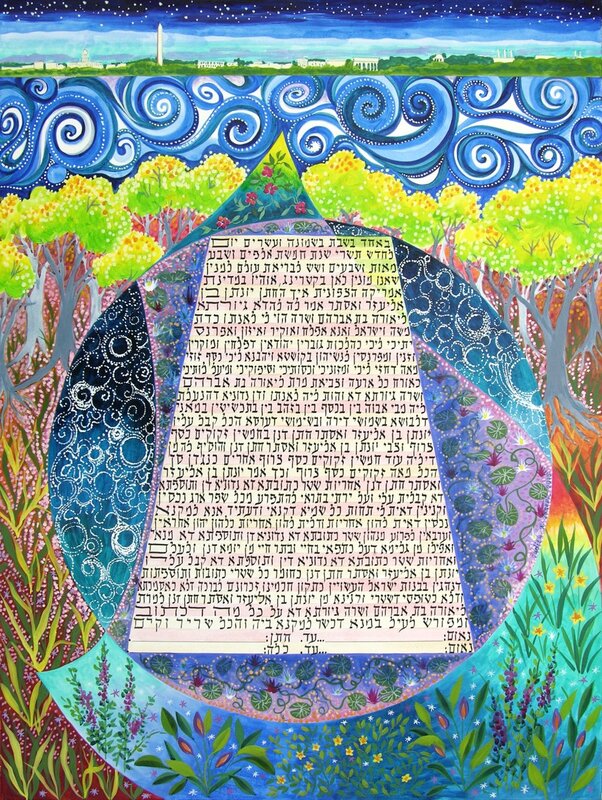 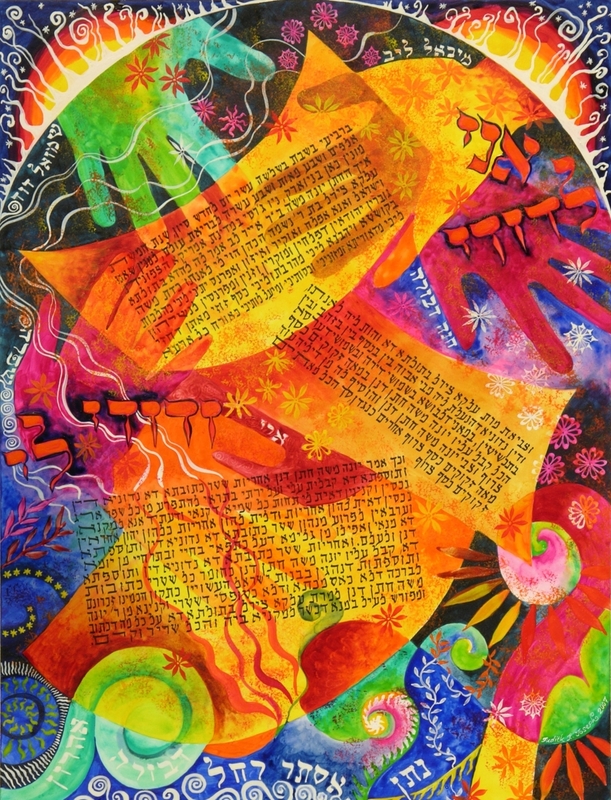 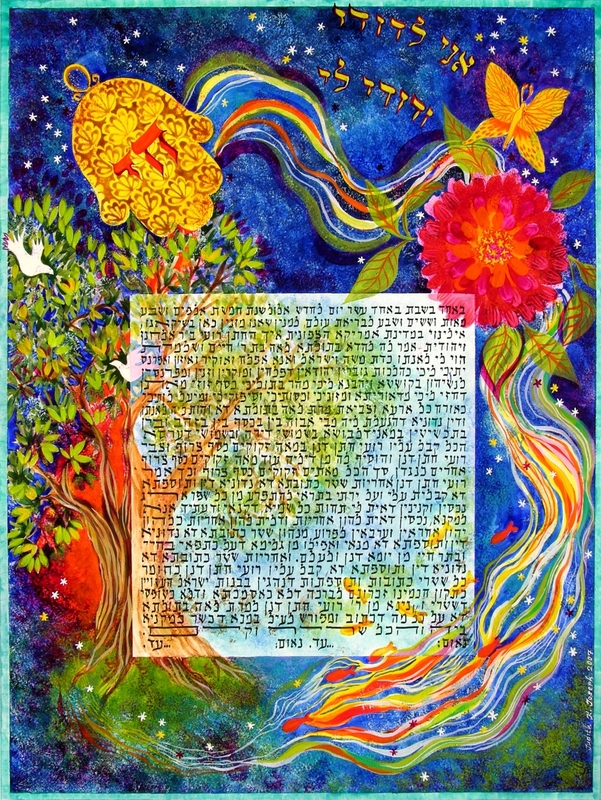 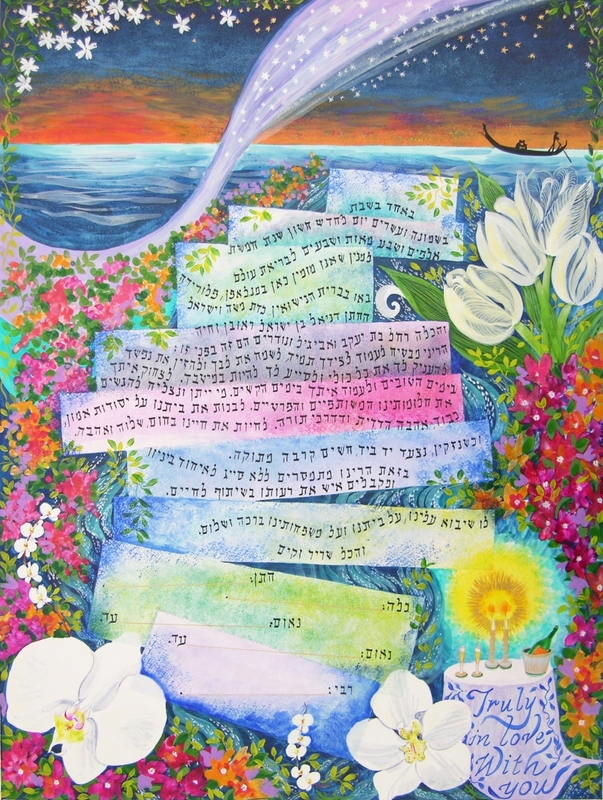 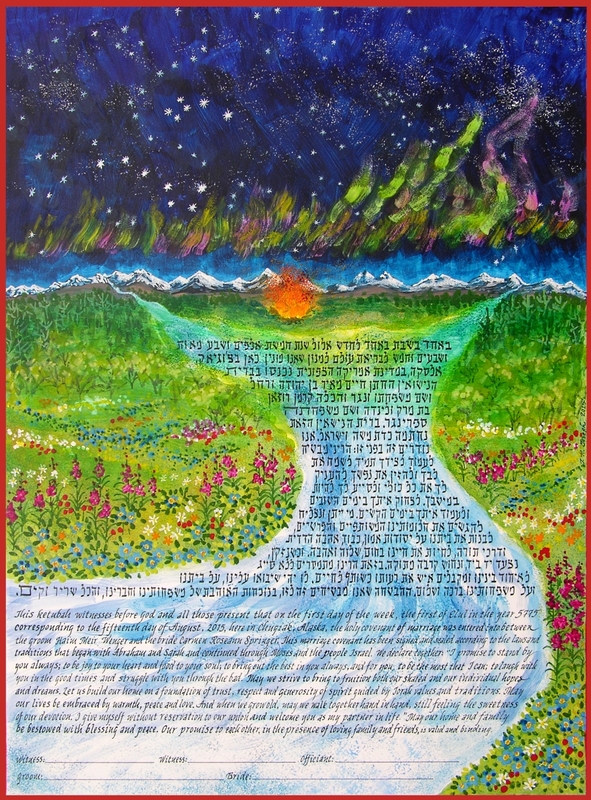 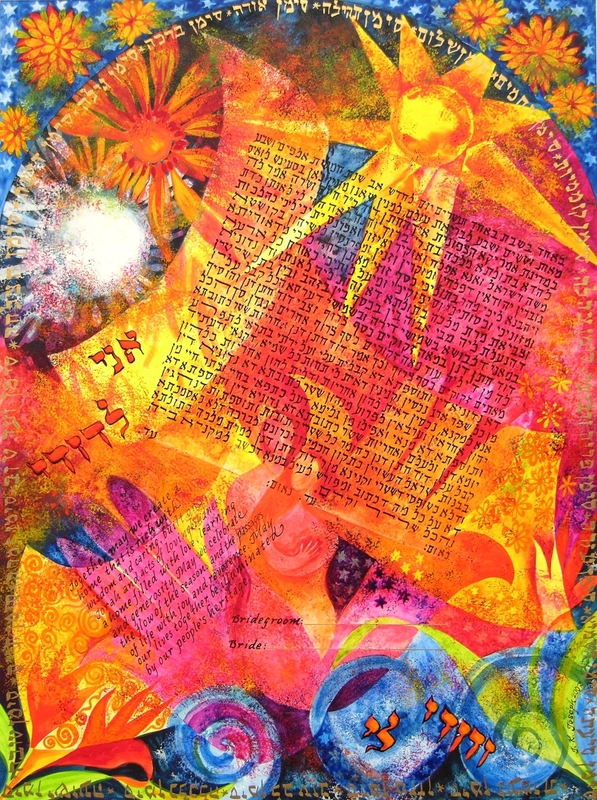 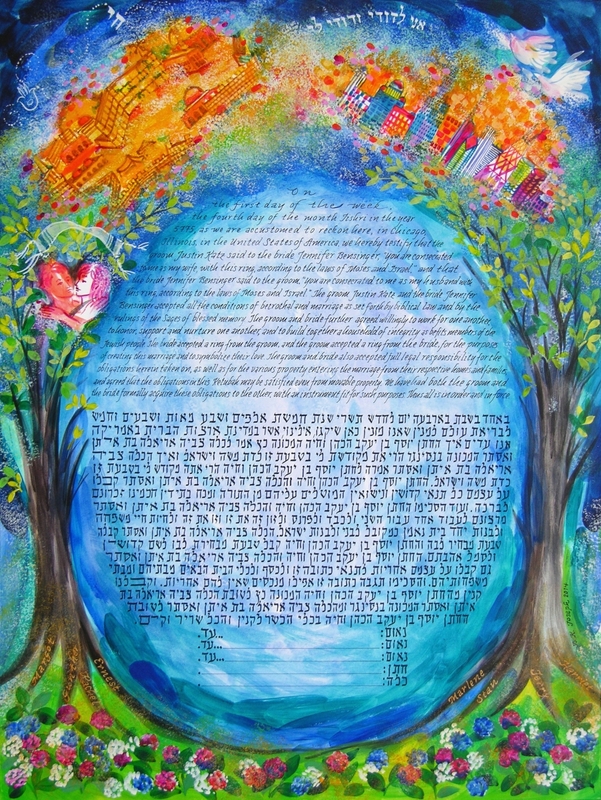 Flowing Stream Ketubah, 2006, St. Thomas, V.I.